Short, stubby lashes can make eyes appear plain and unremarkable – lush and long lashes are the desire of many, but very few are naturally born with them. 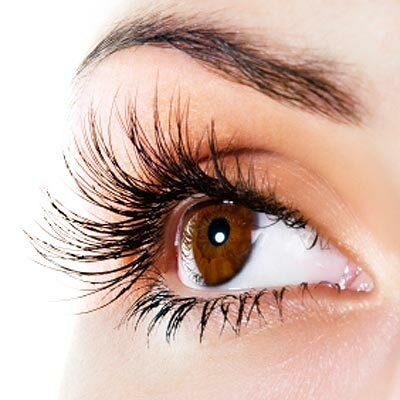 Fortunately, there are a variety of methods that can be used to increase their length and make them thicker, and everything from natural treatments to makeup tricks are available for those who wish to enhance their eyelashes. Use an eyelash curler to make stubby lashes appear longer and thicker. The curl will lend your eyes a pretty effect which will divert attention from any less attractive features. Heat the curler for a couple of seconds with a hair dryer, then clamp it down on your lashes. Hold for a minute, and then release. Use makeup to give your eyelashes a dramatic touch. Select mascara that serves the purposes of lengthening and volumising. It is best to use mascara on lashes that have been curled. Sweep multiple coats of mascara through your lashes (do not allow them to dry between coats), and then run a clean lash comb through them, to get rid of clumps, and define each lash. Other makeup tricks can also be used to enhance stubby lashes. Lashes that are short and pale need to be highlighted – in order to accentuate them, always wear black mascara, as this will define and foreground the lashes. You can also create the illusion of longer, thicker lashes by applying a dark pencil eyeliner on the inner rim of your top eyelid. Consider getting false eyelashes, or eyelash extensions. These can be a great way to add thickness and length to short eyelashes. False eyelashes are for temporary use, while eyelash extensions can last up to several weeks if applied by an expert at a reputable beauty salon. However, do not go for outrageous styles – get lashes that are the same colour as your natural eyelashes, and just a few millimetres longer than your natural length. Look into treatments for making lashes longer. Products like Marini Lash, or Latisse are all FDA-approved, and have been proven to yield results if applied to lashes regularly. However, since many of these lash lengthening treatments are prescription products, you can also experiment with natural products at home. Try dabbing olive oil or vitamin serums onto your lashes with your fingers – apply regularly, until you begin to notice a difference.